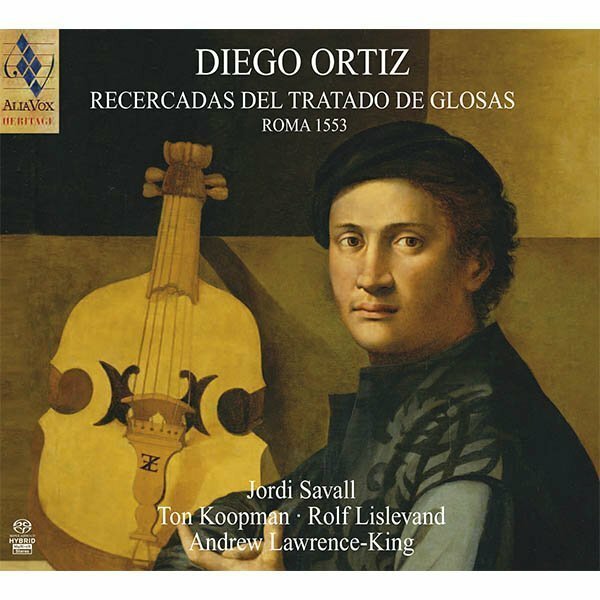 On 10th December, 1553, at one of the highpoints in the Golden Age of Spanish music, there appeared in Rome the TRATTADO DE GLOSAS SOBRE CLAUSULAS Y OTROS GENEROS DE PUNTOS EN LA MUSICA DE VIOLONES NUEVAMENTE PUESTOS EN LUZ by Diego Ortiz, who was also known under the name “el Toledano”. An inevitable reference point for the study of instrumental performance practice in the 16th century, this work is of exceptional interest, both for its purely historical significance and for its artistic value, since it contains the finest examples of the known repertoire for viola da gamba (vihuela de arco or violone) and harpsichord in the Renaissance period. We know little today about the life of the Spanish viol player and composer Diego Ortiz. The first signs of his existence occur at the same time as the publication in Rome of the Trattado de Glosas (1553). The extent of knowledge required for the compilation of such a work leads us to think that it was composed when Ortiz was already in his maturity. It was composed – or revised, which seems to be the implication of the indication that the treatise was “nuevamente puestos en luz” (newly published), in the year 1553. By the time that he left his native country, Diego Ortiz had already completed his musical education. This is shown by the clear pioneering nature of his treatise from the strict point of view of musical style. A comparison with Sylvestro Ganassi's Regola rubertina (Venice, 1542-43), a treatise printed ten years before that of Ortiz and specifically dedicated to a study of viol technique, as well as the underniably Hispanic character of the work by Diego Ortiz, supports the hypothesis that Ortiz had already completed his musical education when he left his native country. However, despite recent research in his native town, we still do not know the exact date of his birth or the place where he received his musical education or even what he did before he undertook his journey to Italy. Living in Toledo (until about 1530? ), Diego Ortiz was at the time one of the most remarkable gamba players of the day and an illustrious master in the art of variation. We know that in 1553 he served as maestro da capilla at the court of the Viceroy of Naples (one of the states in the Italian peninsula which was under Spanish rule), Don Fernando Alvarez of Toledo (1507- 1582), the third Duke of Alba, Captain General of the army of Charles V and Philip II, and later Governor in the Netherlands (1567-1573). It seems that Diego Ortiz spent the following five years (until 1558) serving at the ducal palace in the same capacity as choirmaster. The last traces of the musician are found in the work of Scipioni Cerreto: Della Prattica Musica vocale et stromentale, Napoli 1601, in which Ortiz is mentioned “amongst the excellent composers from the city of Naples who are no longer with us”. He was also an excellent polyphonic composer, as we can see from his Musices liber primus, Hymnos, Magnificas, Salves, Motecta, Psalmos, aliaque diversa cantica complectens (printed in Venice in 1565). This large collection of sacred polyphony contains 69 works for four to seven voices. Providing irrefutable evidence of the excellence achieved in the art of instrumental variation by Spanish composers of the 16th century, the work of Diego Ortiz, like that of Antonio de Cabezón and the vihuelistas of the time, not only reflects the genial musical personality of the composer but also shows a polished technical maturity serving a musical style of the first order; these characteristics are quite remarkable if we remember that these works were written at the very beginning of instrumental music. 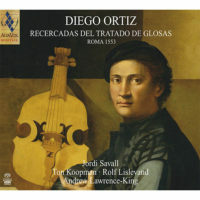 In the decisive evolution which European musical art underwent during the first half of the sixteenth century, the treatise of Diego Ortiz represents one of the essential contributions in the progress towards establishing an individual instrumental language, already emancipated from the restrictions imposed by purely vocal writing. Besides this it was part of the genesis of new forms and procedures like contrapuntal or ornamental variations, ostinato and basso continuo, which were to be of decisive importance in instrumental and vocal music of the seventeenth and eighteenth centuries. The art of Diego Ortiz is supported by an aesthetic conception which falls midway between the austerity and purism expressed by Juan Bermudo in his Declaración de Instrumentos Musicales (Osuna, 1555) and the ornamental profusion combined with free interpretation advocated by Tomás de Santa Maria in his Arte de tañer Fantasia (Valladolid 1565). This point leads us to stress the contrast which exists between the decorative exuberance between the Plateresque style and the noble austerity of the Herrerrian style, which was neatly described in the words of Philip II: “simplicity in form, severity in the whole, nobility without arrogance, majesty without ostentation”. In parallel, these two aesthetic conceptions, which are always implicit in formal simplicity and ornamental richness, are perfectly integrated in the works of the musician from Toledo and in the organic development of each composition, allowing them to achieve a perfect equilibrium: in this we clearly see the essence and spirit of the Spanish Renaissance. The Trattado de Glosas consists of two books. As well as an explanation on “how to play divisions”, the first book gives numerous carefully selected examples of “glosas” (ornamental variations) on different “clausulas” (cadences in their melodic form), on “punctos” (melodic intervals ascending and descending, seconds, thirds, fourths and fifths) or on “pasos” (successions of notes in conjunct degrees). All these forms of division were particularly intended for the viol “en concierto”, that is playing in a group, but were perhaps also useful to other instruments of the time. According to Diego Ortiz there were two correct manners in the art of division: “the first and the most perfect consists of playing the passo (step) or glosa (division) on any punto (point) and going on to the next punto, so that the final point of the division is the same as the one that started the division”. The second manner in the science of diminution is more interesting since it permits the playing of “very fine things and elegant ornamentations which can be obtained only with the first (manner), by taking rather more liberty, so that when you move from one point to another, you do not fall back on “puntos llanos” (conjunct notes), but the opposite…”. It is interesting to note that in the compositions of Diego Ortiz himself, these two manners of division exist either in the form of melodic variations or in the form of a break in the harmonies which are present in the motive or in the note. All existing historical references confirm the importance that the sixteenth century placed upon this practice of improvised ornamentation in performance. It constitutes one of the essential features in the art “of the viol” and was to continue until the end of the seventeenth century. We find it also in the ensemble music for viols and in the compositions intended for “discando” playing, that is for solo viol accompanied by the harpsichord (or by another keyboard instrument). 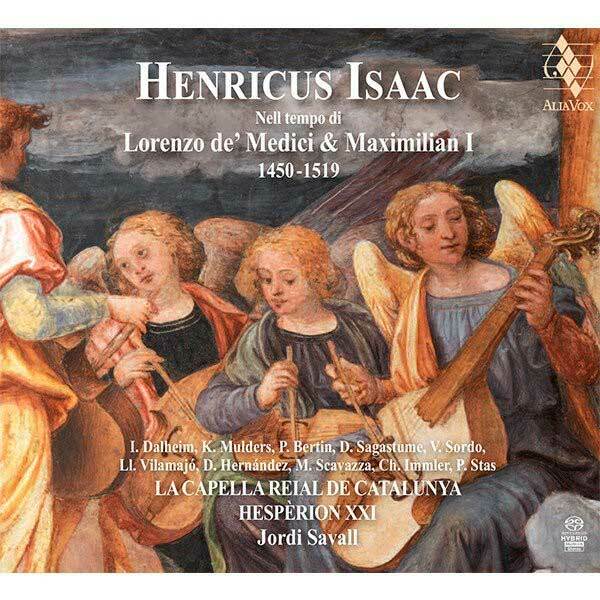 In the first case, the current repertoire consisted of polyphonic works: tientos, madrigals and canciones which were played with ornamentation in a more or less spontaneous manner and whose success depended on the quality and artistry of the performers. The indication: “to be sung or to be played on any instrument”, which figures in the title of many collections of polyphonic music at the end of the sixteenth and at the beginning of the seventeenth century, in all probability reflects an old-fashioned practice. It involved adapting for instruments music originally written for the voice. This art of improvisation, of divisions or of simultaneous variations upon the different parts of a polyphonic composition was clearly defined, without however the improvisations losing their spontaneous character, with various procedures and a style which is explained in a masterly way in the first part of the Trattado de Glosas. The different manners of playing the viola da gamba as a soloist accompanied by a keyboard instrument are clearly described and well-illustrated in the second part of the Trattado de Glosas. According to Ortiz: “the first [manner] is the fantasia, the second the plainchant [and] the third the compostura”. For the “fantasia”, the art of improvisation par excellence, Ortiz continues “I cannot show it, for everyone plays it in his own manner, but I can at least say what is required to play it: the fantasia that the harpsichord plays must have quite regular consonancias and the viol’s fantasia should have some gallant features, so that when the viol plays puntos llanos (sustained passages), the harpsichord will respond appropriately and they will perform some fugues (imitative passage) borrowing from one another, in the manner in which concertante counterpoint is sung”. This description of the common forms of improvisation used throughout the Renaissance is very interesting, since it provides a clear idea of the extent of training, spontaneity and musical sensitivity which every good musician of the period had to possess. The second manner of playing the viola da gamba as a solo with harpsichord accompaniment consists of developing a counterpoint “discanto” upon a plainchant (cantus firmus) or upon “tenors” based on ostinati (ground basses). In both cases the ostinato bass, for the first time in history, takes on the character of a “basso continuo”, in the sense given to this term in the seventeenth and eighteenth centuries. In fact, according to Ortiz, it is necessary that whoever plays the keyboard part should perform an accompaniment over this bass “with consonances and a few counterpoints corresponding to the phrases of the ricercar that the viol is playing”. In order to illustrate this manner, Ortiz provides Seis Recercadas sobre un canto llano and Nueve Recercadas sobre tenores (six Ricercars on a plainchant and nine Ricercars on tenors) which constitute one of the most interesting examples of his art, combining refinement with musical imagination. The instructions relating to the “third manner of playing the viol with the harpsichord involve composed pieces”. These confirm for us the idea that in solo performance (that is to say for viol accompanied by harpsichord) it was also usual (“as is the common procedure”) to improvise “diferencias” or divisions on polyphonic works. Ortiz specifies: “you can take the Madrigal or the Motet, or any work that you like to play and, as is the common procedure, try it out on the keyboard; thus the viol may play upon any composed piece two or three divisions or even more”. 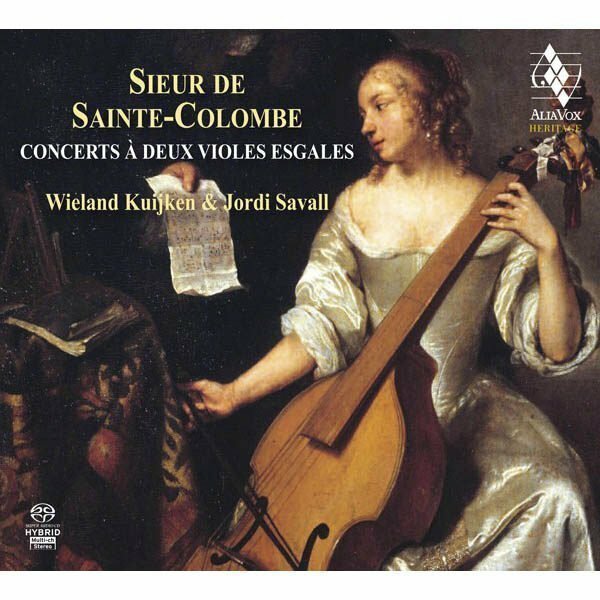 He continues by warning viol players “who would make a profession of this manner of playing, that it is different to those manners explained in the first book, since they related only to concertante performance with four or five viols, because as far as they are concerned it is imperative for a good performance that the counterpoint should always correspond with the subject; it must always follow it to avoid the error committed by those who are led astray into doing what they want, when they lose sight of the main subject which is the composed subject. On the contrary, in this manner of playing (viol and harpsichord) it is not necessary to always be tied to one voice, and even if the main voice should be the bass, you can depart from it at will moving up to the tenor, alto or treble, taking what you like from any of these voices. The reason for this procedure depends on the harpsichord playing the composition perfectly, that is to say that it plays all its parts, while the viol only accompanies it by giving grace to what it plays and by entertaining the listener with the varied sounds of its strings”. By way of example of “what can be done” in playing composed pieces, Diego Ortiz wrote Cuatro Recercadas sobre el Madrigal “O Felici miei” by Jacques Arcadelt, and Cuatro Recercadas sobre la Canción “Doulce memoire” by Pierre Sandrin, which show the good taste and mastery of their arranger in this art of variation. In the work of Ortiz, the term Recercada [Ricercar] – with the literal meaning of seeking anew – designates more an end, that is to say a stylistic intent, than a means, that is the form to achieve this intent. According to the techniques and structure used, the formal aspect of these Recercadas of Diego Ortiz is similar to that of the fantasia (Recercadas sobre la Spagna and Recercadas para Viola sola), of the variation (Recercadas sobre tenores) or finally to the “diferencia” (Recercadas sobre el Madrigal or sobre la Cancion). It is interesting to observe that, although with all these compositions division assumes the role of a generating element, it is developed either as a contrapuntal variation or as purely decorative diminution, in its relationship with the given material (plainchant, ostinato or polyphonic work), it performs an independent contrapuntal part or a simple melodic and rhythmic modification of the same material. The “ostinati” basses upon which Diego Ortiz wrote his Recercadas sobre tenores correspond to the various melodico-harmonic formulas in which the bass is the most important part. These formulas, used in vocal music as well as instrumental music, were closely linked to the most famous dances of the Renaissance period. In this group of Recercadas [sobre tenores] we find the celebrated Folia (of Hispano-Portugese origin), the passamezzo antico and passamezzo moderno (of Italian origin and sometimes associated with the pavana), as well as the popular Romanesca called Guardame las vacas in Spain and often presented in the rhythm of the Gallarda. 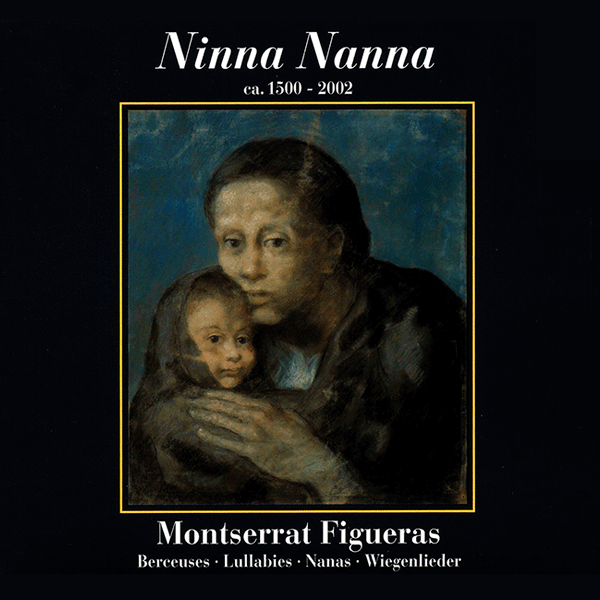 No doubt for the most part, the work of the musician from Toledo will endure as exceptional testimony to sixteenth century instrumental practice: an art stripped of all transcendental pretention but abounding in life, imagination and spontaneity.